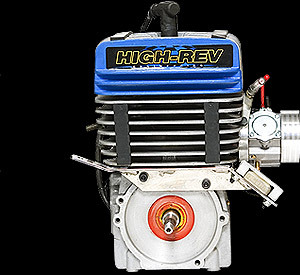 High Rev Engineering has been committed to having the best in all categories and Comer classifications are not alone. We have won several National Championships in both Cadet and Kid Kart catagories. However, we felt a need to become the leader in the Comer K80 classification at the end of the 2007 season. Actually a challenge which motivated us to begin a rigorous testing regime. We promised our customers the best and most consistent product in the market. This has been achieved through obsession and passion to deliver the best. We worked continuously for months to develop the K-80 and through rigorous testing we have a package which we can reference 2014 results as a testimonial to our efforts. Stars results and WKA results show that we have the broadest base of Winningest customers and the greatest depth of field. At all of the WKA and Stars events this year HRE engines had at the very least 5 of the top 10 competitors utilizing engines prepared by us. Including winning the WKA Grand Nationals in a field of 40 plus of the nations top drivers. 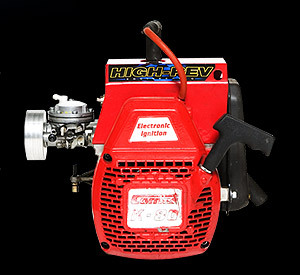 We have taken the K-80 engine and developed a repeatable combination that has a very, very broad power band with huge acceleration and combined with excellent top end power. We also use the finest upgraded components. Bearing, seals, carb parts and a piston rings combination exclusively built to our specification. 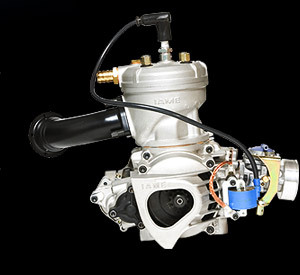 We provide dyno tuning and all engines are broken-in and tested prior to their delivery. Whether it is a new blueprinted engine, or a rebuild. All engines are delivered at the highest level of optimized performance. As far back as our first National Championship victory in the Yamaha classification in 1981. 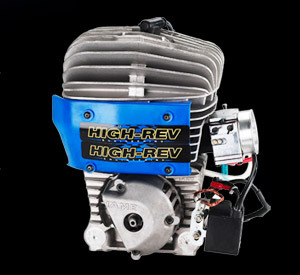 High Rev has been the class leader. We are still winning and still pride ourselves at continuing to develop this classification. Both Yamaha and HPV. We win National Championships In IKF, and WKA annually. We are able to provide superior craftsmanship and combinations in preparation. Also select componentrey and parts to yeild an unbeatable package for every class. From Junior to senior application. All pacakges are designed and built to provide a broad power band and yeild the highest peak H.P. We also pride ourselves as having a very, very user friendly tuning combination. HRE realizes that the TAG classifications are the wave of our future. Therefore we have paid special attention to the development, progress and growth of the TAG specification. Again another classifications where we have been obsessed and motivated to be the best. To the point where we have proactively invested time , and resources to improve and optomize our dyno. We can now easily test and dyno tune powerful TAG engines and refine our packages to the highest level. Reference the result at the PRI show where former Indy 500 winner Buddy Rice drove away from the competition on his HRE prepared Parilla Leopard . Also John Zartarians and Buddy Rices dominate performances at the 2007 SKUSA Super Nationals on their HRE prepared ROK TT! You can easily see our commitment and dedication to having a superior package relative to the rest of the industry. From Junior to senior, we have been very innovative and diligent in our research and technological understanding of each classification. We have been the leaders in these categories as well. This is not a difficult task to accomplish when you apply diligence. The classification is spec. sensitive and very narrow in the rules in what you can and can not do. This is where " precision" engine preparation in surface finishes, tolerances, and knowledge of finite change can culminate into a highly refined package or specification. Carburation is also a very critical component of this classifications and were are the unquesionable resident experts through our extensive track and dyno tuning diligence. We utilize all of our resources and extensive knowledge to develop these packages. We combine the allowable component upgrades along with our "precision machining" technique to provide an optimized and user friendly pacakge. Since the introduction of the JICA classification. HRE has ben the unquestionable leader in first devlopment of JICA. 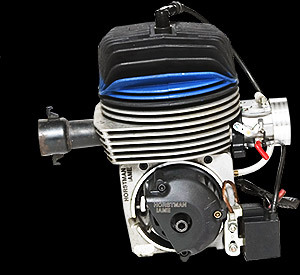 This is accomplished through our acutal knowledghe of 2 stroke engines and technology. In this classification the rules are stated so we can become creative in porting technology and alter the engines physical dimensions. 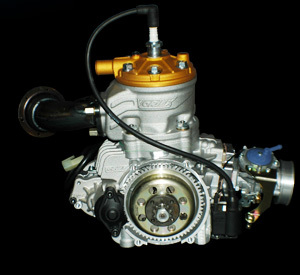 HRE has used this to its customers advantage in improviong the engines performance to it's peak potential. HRE prepared engines have the largest percentage of wins of all tuners combined in the STARS JICA classification. Reference the seasons Finalle race result when Brendan Langouis drove his HRE powered package through the field to conviencingly dominate the race and win the penumulitate event rounding out the season. We also won the WKA National and Manufactures Cup points championship HRE continues to devlope the classification and looks forward to the opening Florida Winter Tour with top drivers like Sage Karam, Grant Vogel, Tristan De Grand and Nick Neri demonstrating their talants riding HRE Blue power. HRE has built and developed these classifications for many years. Although these are minor classifications and not a popular as the std. 100cc and TAG classes. HRE has none the less perused to be the best in these classes. We have combinations and current evolutions which are winning races throughout the country each year. We specialize in the stock moto and also ICA. We can provide new blueprinted classifications and also rebuilding to current specification.